It was a tough decision for this week’s BotW – I didn’t read as much as I was hoping to, and some of what I did read was disappointing. 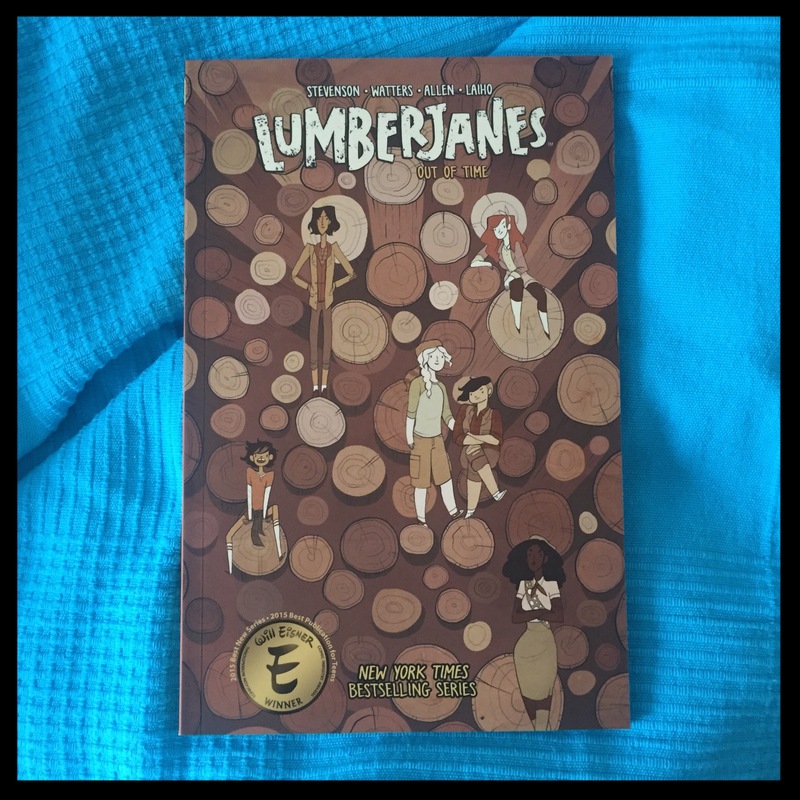 The two best things I read were the two graphic novels, and even though it’s only a few months since I wrote about Lumberjanes, I’m going to geek out over the girls again. Volume Four is Called Out of Time and we join the girls as they learn (or try to learn) survival skills. But soon they’re hit by a blizzard and Jen gets separated from them. The girls launch a search for her – fearing she’s freezing to death, but actually she’s met a mysterious woman who seems to have some relationship to Rosie. This volume has loads of backstory and drops some serious hints about the purpose of the Lumberjanes and leaves you wanting to know more. My big problem with volume three was that some of the artists had changed, but in this one we’re back to my favourites from the earlier volumes. This has always been such a good example of female friendships – and now we have the boys camp popping up again it deals really well with that too. At times it felt like there was possibly a little too much going on, because they’re trying to get set up, backstory and a fight with a monster in to one trade paperback, but I’d much rather have too much plot than too little. You should be able to buy Lumberjanes from any good comic shop (start at the beginning with Volume one though for maximum impact), and please do consider finding a comic shop to support. Amazon aren’t even offering any discount on the cover price on this as I write it, so go to the Comic Shop Locator and put in your post code and find an indy to support. My local store is incredibly knowledgeable (the owner runs his own comic convention), friendly, happy to get anything in for me that isn’t in stock and keeps a folder with my name on with my Rivers of London single issues for me. You can order online from him too if you really don’t want to leave your house. Failing that I’m sure Big Green Bookshop would have a go at getting it in for you. And either way it’ll give you a warm and fuzzy feeling inside for supporting the little guy not the corporate giant!